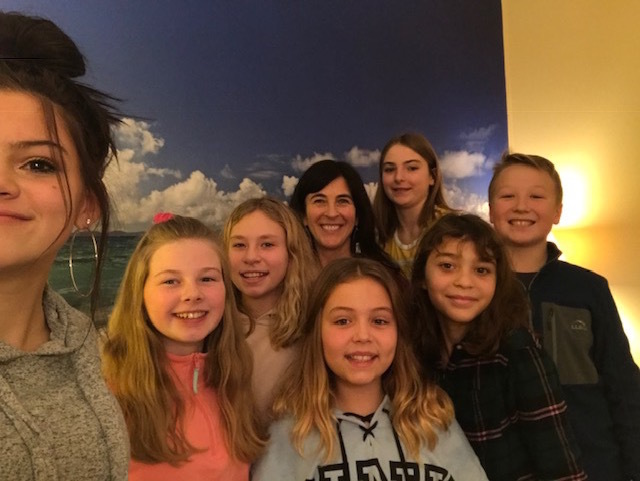 Our thanks to Susan Parr and the HMS Mindfulness team for sharing their expertise at a recent presentation! on how to live in the present moment, mindful eating, and the benefits of pausing. If you are interested in learning more Ms. Parr and the team would love to present for you. Stay tuned for upcoming news from these inspiring students! Maddie Miles, Lauren Hallee, Imogen Wiebus, Norah Lushman, Madison Wiles, Maddie Nieter and Wyatt Gawtry.